Peter Silberman possesses a voice that is all at once haunting, weary, and undeniably beautiful. At times, his singing evokes the fraught croon of Win Butler while at others he soars to the angelic heights of Antony Hegarty. Given the title of Silberman and company’s debut, Hospice indeed casts a shadow of death and doom over its ghostly refrains. But this is not to say the album is wholly bleak and hopeless; rather the effect manifests itself more organically. Through ten songs, we progress from twinkling lullabies of innocent youth to the aching grace of life’s final days. The album’s closer, “Epilogue”, fittingly strips away the dreamy instrumentals of an earlier track, “Bear”, to reveal a singular balladeer with a starkness that might just herald this year’s Bon Iver and Arcade Fire — all rolled into one. 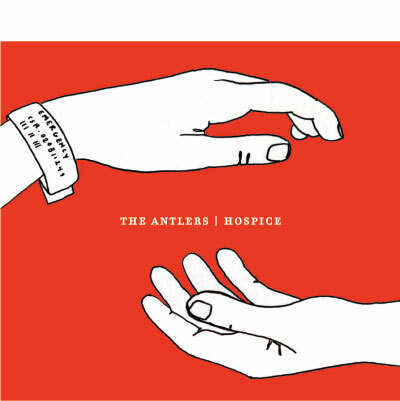 The Antlers will celebrate the release of Hospice with an August 21 show at New York’s Mercury Lounge featuring fellow Brooklyn upstarts Murder Mystery in support.